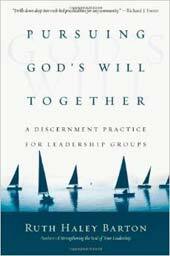 2013 Logos Book of the Year in Spirituality/Devotional Meetings can sap our energy, rupture community and thoroughly demoralize us. They can go on forever with no resolution. Or they can rush along without consensus just to "get through the agenda." What if there was another way? Church boards and other Christian leadership teams have long relied on models adapted from the business world. Ruth Haley Barton, president of the Transforming Center, helps teams transition to a much more suitable model?the spiritual community that discerns God's will together. In these pages you will discover personal and group practices that will lead you into a new way of experiencing community and listening to God together.